Move Over Knights in Shining Armour - Indian Girl Rides a Horse to Exam! We all know the value of education and we all want to be a part of the literate society. Currently, the news about a girl riding a horse to give exams is going viral. 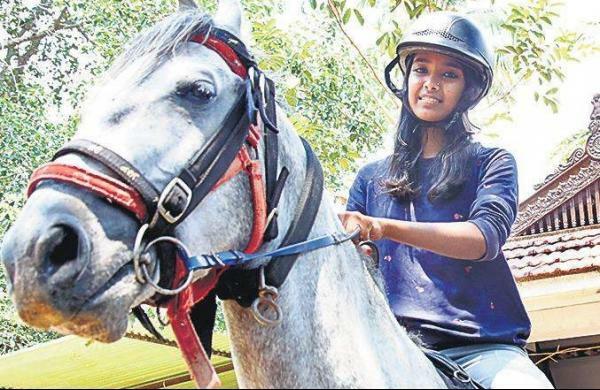 A class ten girl from Thrissur, Kerala was seen riding a horse in her school uniform with her bag on her back. According to a tweet accompanying the video, she was going to the school to write her class ten final exam. The video of the girl riding the horse has gone viral on social media and has also been shared by Mahindra Group Chairman - Anand Mahindra. He posted the video and wrote ‘Brilliant! Girls’ education is galloping ahead...A clip that deserves to go viral globally. This, too, is #IncredibleIndia’. Mahindra termed this girl a ‘hero’ in another tweet and asked the public on social media to share her whereabouts. A Facebook user named Anant Narayan publicized that the girl’s name is CA Krishna and she studies in Holly Grace School in Thrissur. The girl also told Manorama News that on the last day of the examination, she decided that she would ride the horse and go to school. Well, we are very happy that India is progressing towards a better future when it comes to increasing literacy and promote future education. Taking A Goat For A Ride!